More than 75 million people speak Turkish as their first language, which puts it in the top 15 most widely spoken first languages in the world. 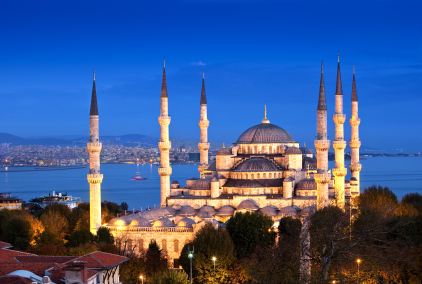 In addition, another 15 million people speak Turkish as their second language. Turkish has recently gained ground in terms of popularity due to its increasingly strategic position in the world – being geographically connected to Europe, Asia and the Middle East. For those with an interest in international business in these regions then learning Turkish is a huge advantage and as Turkey grows as a global economic power this will become more and more apparent. The future importance of Turkey in international business cannot be underestimated. With Cactus Language you can learn Turkish in Istanbul and take advantage of the Byzantine and Ottoman architecture, the restaurants and tea gardens along the Bosphorous, and the unforgettable food. Not only that, you will be overwhelmed by the people, their friendly nature and kind heart. Another option for studying Turkish is to have one-to-one classes in your home or place of work. Cactus can deliver these classes in any city in the world, and if you live in a more remote area you can take your one-to-one lessons over Skype. And if you are based in the UK then you can join our group evening language Turkish courses in London or Liverpool which start on the 20th January 2016. There is not better time to start your Turkish Language learning journey! If you want to check your level then just take our FREE online Turkish level test here.